Home » »Unlabelled » Toddler runs crying to her mom. What she says about her baby sister, mom couldn’t believe! Toddler runs crying to her mom. What she says about her baby sister, mom couldn’t believe! 2-year-old Ellia Anderson woke up on the wrong side of the bed. She runs to her mother crying, and only one thing can cheer her up. 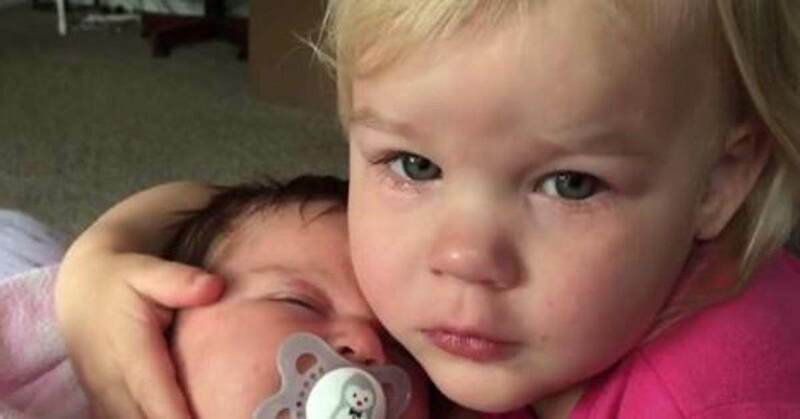 She loves her baby sister so much that her tears dry up right away! What a special sisterly bond.